These two chairs are predominately sculptures tho can be used very lightly. Repeated stress on the joints could cause them to break. 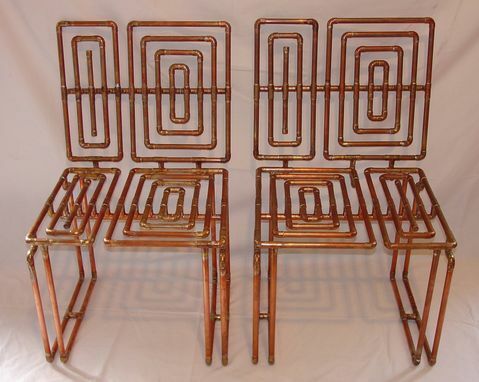 Both are made of 1/2" copper tubing and are not sealed so the copper will mellow and slowly turn a deeper honey-brown over time or could patina if exposed to water. They can also be sealed if so desired by client. Each is sold separately and the price listed is per chair.